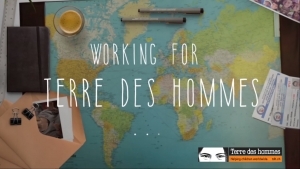 Terre des hommes Foundation is looking for Regional Information and Networking Officer within the Migration Programme at our Regional Office for Eastern Europe. You enjoy animating networks, managing information and working for a worthy cause. You are energetic, full of initiative and a self-starter, passionate about child rights. You are looking for a meaningful job that will make a lasting impact? This challenge is for you. Terre des hommes Foundation, a member of the International Federation Terre des Hommes, is the largest international child rights NGO in Switzerland established more than 50 years ago. We operate in 36 countries with over 100 development aid and emergency projects impacting over 2 million beneficiaries. We employ 1,500 people, including 130 based at our headquarters in Lausanne. Our direct assistance projects, systems strengthening and advocacy activities are primarily focused in the areas of maternal and child health and child protection. In Europe, Tdh intervenes directly or indirectly in 22 countries, through the work of its teams based in Budapest (where the regional office is located), Albania, Greece, Kosovo, Moldova, Romania, and Ukraine. Migration programme: Terre des hommes approaches migration as a multidimensional context in which children can be harmed and in which appropriate protective measures are therefore required. Efforts at protection should address both the places of origin, transit and destination. The aim is to significantly and sustainably reduce the vulnerability of children, while ensuring their effective access to all of their rights throughout their migration. The protection of migrant children should also include support and solidarity for migration actors and their initiatives, if they are consistent with the best interests of children. The aim is to facilitate migrant children and their families’ access to better opportunities and a sustainable improvement in their living conditions. The Regional Information and Networking Officer contributes to and supports projects and initiatives to ensure a dynamic flow of information from field and regional actions, enhance and strengthen partnerships with Tdh, partners and authorities and improve the visibility of Tdh interventions in all migration related components developed by the regional office and its allies. Monitoring of the situation of Children on the Move in the region by developing a thematic monitoring system. in charge of identifying new partners and allies in close coordination with migration focal points and regional migration team members. A commitment to excellence; attention to detail and a high interest in innovation. Qualified applicants are encouraged to submit their CV and motivation letter in English to recruitment@tdh‑europe.org by January 14th 2018. Please include “Regional Information and Networking Officer Application and your full name” in the subject line of the application email. Please indicate in the email content where you found our Vacancy Announcement. To commit to respect Tdh Risk Management Policies including: Child Safeguarding Policy, Safety and Security Policy and Anti-Fraud/Corruption Policy, Whistle Blowing Policy.